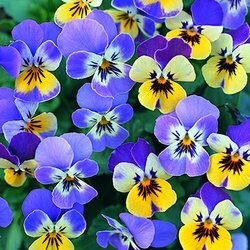 Oval small leaves with stems stetching 20cm with purple&comma; yellow and white flowers. Flower heads can be added to desserts&comma; salads and frozen in ice cubes. March to September harvest the flowers as they become ready.